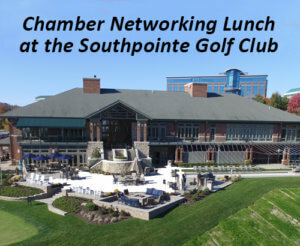 Our Networking Lunch is held at the Southpointe Golf Club (360 Southpointe Blvd, Canonsburg, PA 15317). We start with a hot buffet, two sides, salad bar, main entree and dessert. Coffee, hot tea and ice tea are included. Serving starts at 11:30AM and we finish with a meet-n-greet at 12:30PM. Many stay longer to take advantage of the networking opportunity. Bring plenty of business cards - this is about you meeting others and opportunities to expand your business. Only $18 for members and $25 for non-members. Includes tip and tax. Register prior to the event and pay $14 members and $20 non-members. The chamber has started a "Network Group" for the purpose of exchanging sales leads and discussing opportunities for growing our businesses. Your first meeting is free to attend and then there is a yearly fee of $100 to belong to the group. 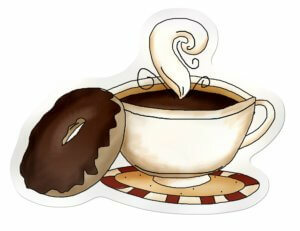 Every Wednesday, Free to att end Meet with chamber Executive Director Don Hodor over coffee and breakfast. This is a great time to relax and ask all your marketing questions about Southpointe. Free to attend, Coffee on us. Option to order breakfast on the cash menu. This is geared to new business marketers wanting more details about Southpointe. You're not required to have a business in Southpointe to attend. Don Hodor and staff will share 23 years of living and working at Southpointe, outline details on marketing to Southpointe businesses and chamber members. This is a good 'smaller group' setup that will allow us to answer your questions and get focused.